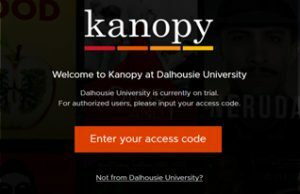 The Dalhousie Libraries are trialing Kanopy, a streaming video service. Kanopy offers everything from documentaries to independent films to classic films. During the trial, you will have access to more than 30,000 titles.